Reigning British Formula Ford champion & BRDC Rising Star James Cole will graduate to the British F3 championship this season. The 21-year-old will race a National Class Dallara-Mugen-Honda for multiple class champions T-Sport. "I have tremendous respect for the team and believe we will be a winning partnership," said James. "I've done my foundation work in Formula Ford and it's now time to move up a gear, with a faster, more powerful car, aerodynamics and a higher level of competition." 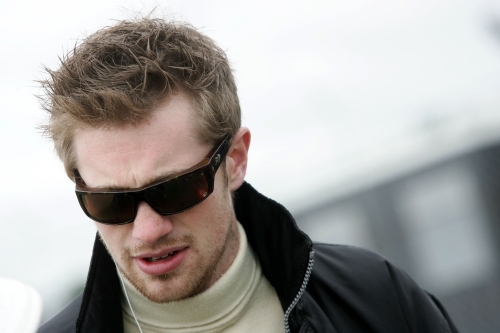 James won seven races, the Formula Ford title, and made the final of the McLaren AUTOSPORT BRDC Award last season. He has decided to race in the National Class in order to remain eligible for the 2010 award. "Standing out from the crowd is getting more difficult as there are so many different race series," he added. "It’s not just winning that counts, it’s being recognised by the industry as a talented driver. "Being able to have another crack at winning the Award is important to me and could be very influential for my future career."